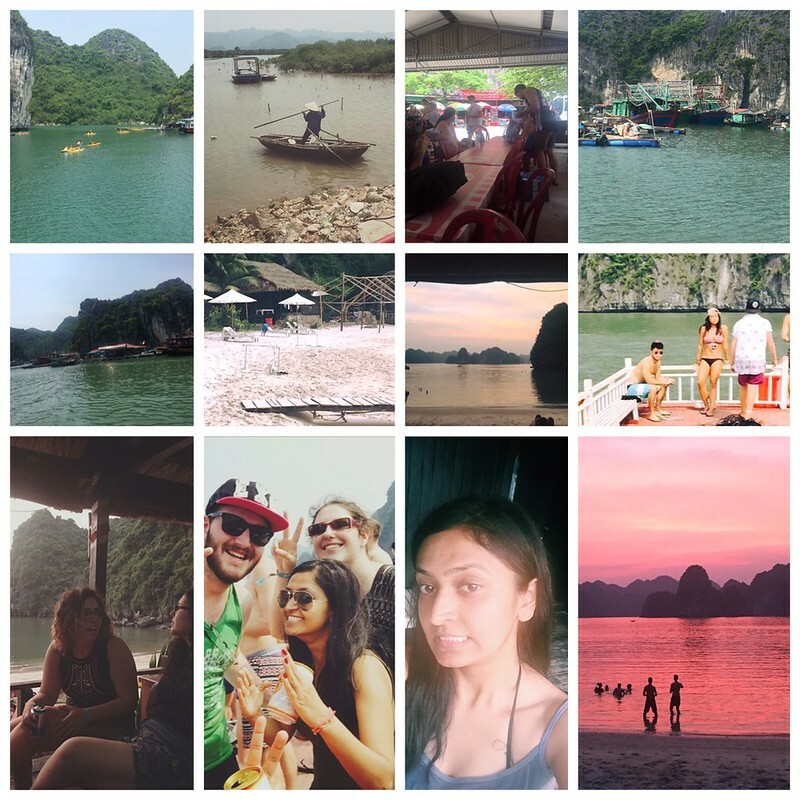 Yaay – I am back from a wonderful trip to Vietnam. 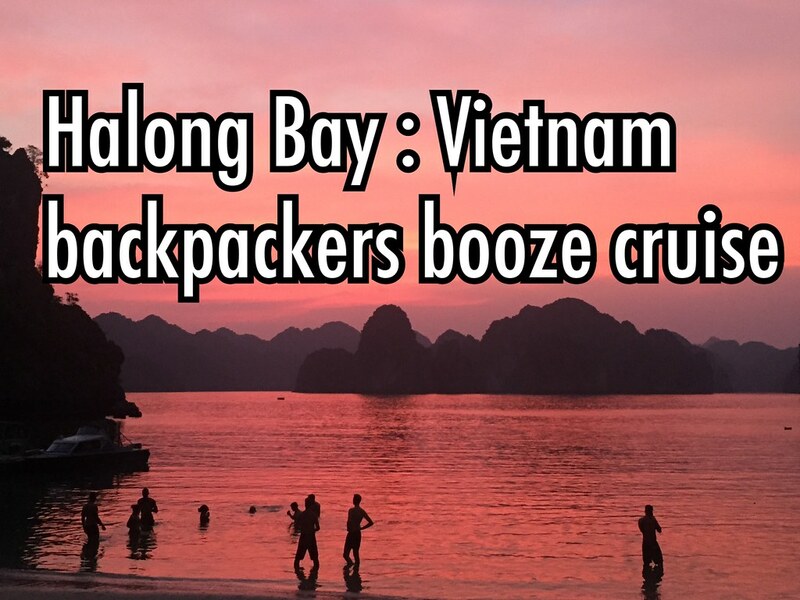 A lot of people had recommended Vietnam as a fun travel destination earlier. So ,When i wanted to go for a week long affordable trip,Vietnam was an obvious choice. The problem was that this was a short getaway and I did not want to do too many things in one go.So, I zeroed upon Halong Bay and decided to book a return from Hanoi. Also, due to time crunch I could not plan the trip in detail and decided to explore options once I have reached Hanoi. I think this was the best decision I made for the trip as I was able to explore Hanoi for 2 days and Halong Bay for 3 days.The five days that i spent in Vietnam have left me hungry for more and I will definitely go back to Vietnam to explore places like Hoi An and Mui Ne. While surfing for ways to reach Halong bay and the experiences the place has to offer I realized that the only way to do Halong bay is via a cruise which can belong to various budget categories. So,without knowing what was in store for me I booked the Castaway island tour from the reception desk of the hostel (http://www.vietnambackpackerhostels.com/) that I was staying in. In a way that was good because I ended up having a jolly old time on the island. The cruise is fairly expensive and more so in Indian Rupees but it is totally worth it because of the location of the island which is right in the middle of the bay, with a beautiful view of the limestone formations and of course the sun set. What is better than spending a night on private island with a group of friends that you just made with a magnificent sunset. To top it all up you get to drink and dance all night. The main intention of all the people joining this cruise should be experiencing the scenic Halong Bay while having fun ( boozing and dancing )and meeting and interacting with new people from all across the globe. Oh!! this was the perfect place to get me drunk!! Pick up is from the hostel in Hanoi Old Quarter and you are transferred to a bus via taxis.Most of the luggage is left in locker rooms in the hostel itself as there are no lockers on the island. The bus take you to Hai phong. 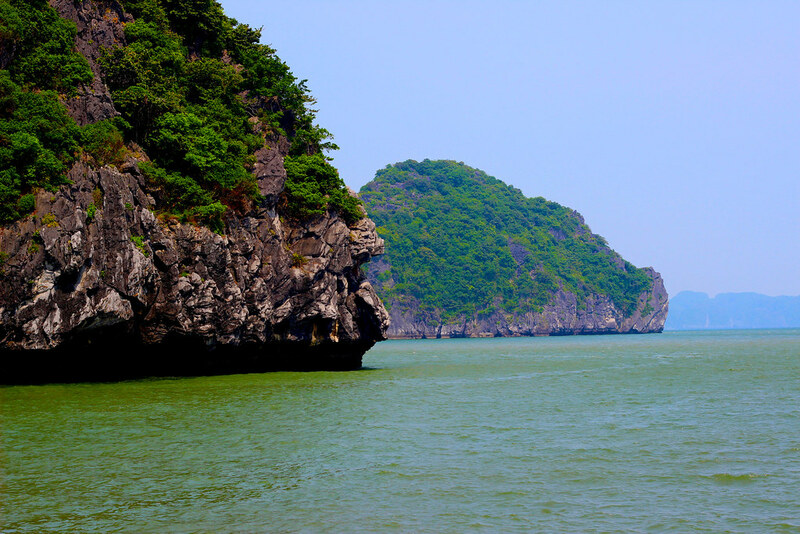 From Hai phong you are transferred to a ferry which will take you to Cat Ba Island and then a bus transfers you to a final small boat to the island via the Halong Bay.The distance is approximately 200 kms and will take a lot of time. Be sure to make friends on the way to make the journey a pleasant one. 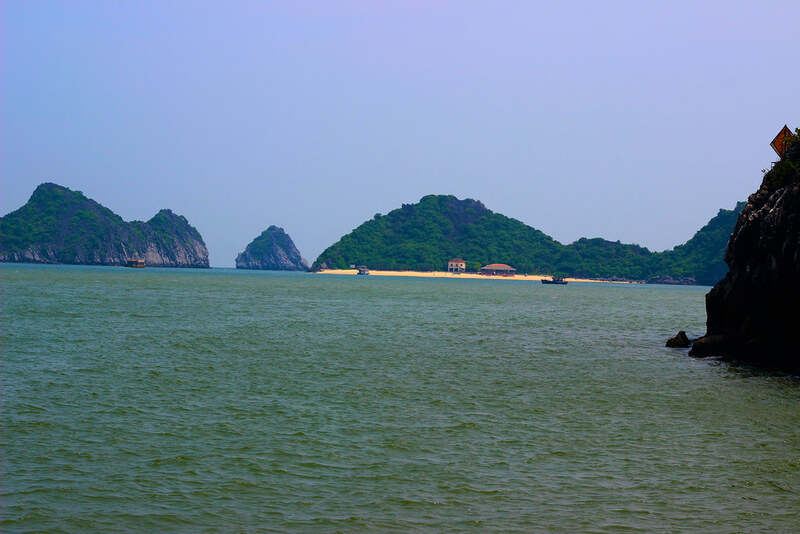 The boat journey to the Castaway island which passes through Halong bay is very picturesque. I took a lot of pictures on the way. The rest of the journey is pretty boring so take some munchies along. There is no currency exchange on the Castaway island and you are supposed to buy token rolls from the hostel which act as currency for booze and food on the island which is pretty cool. 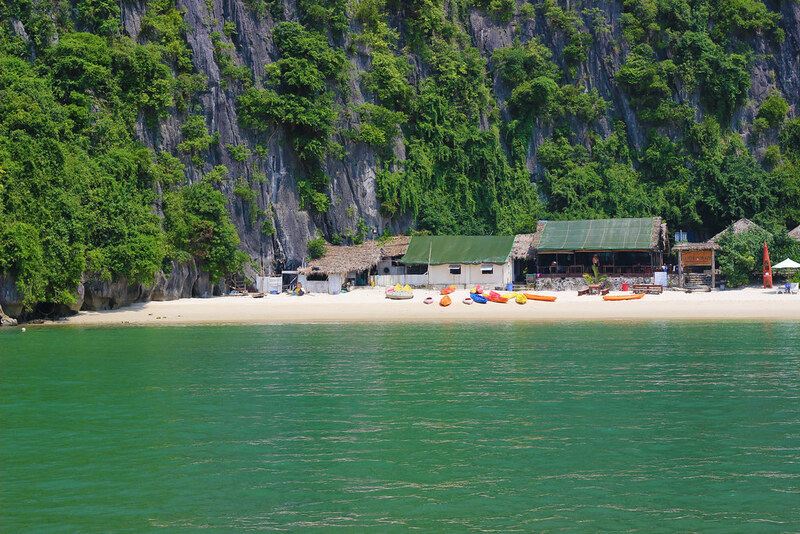 The views of Halong bay have this immediate peaceful effect on you. The wonderful mist covered limestone structures rising out of greenish water seem like a pirate movie set. The beauty of the place is unreal and I gazed it along with a few other people from the boat in silence for quite a few minutes. You reach the island around lunch time and the guides on the island break down the rules to you in the common area.The guides are pretty fun and these are the people who keep the party going strong. 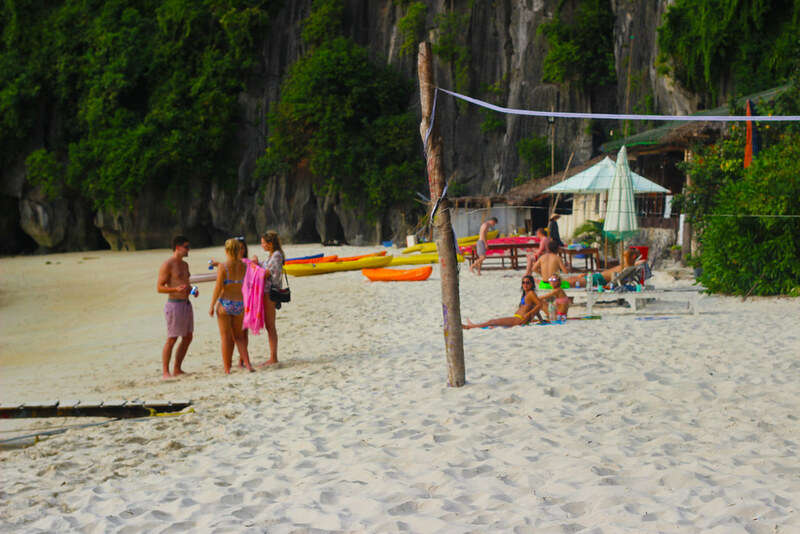 The activities for the day start once you have settled down on your own hut dormitories which are right on the beach. The high speed tubing activity is a fifteen twenty minute activity but is really very exhilarating and adrenaline pumping .Your tube is tied to a speed boat and you hold on the tube with your bare hands. If you fall in the water the boat comes back to retrieve you.I think if you don’t fall in the water and swim around for a while it is worthless. Getting back on the tube is the tough but funny part. There were four of us on the tube and we had a good laugh pushing each other back on the tube. Dinner is served around seven but by this time you are not so keen on keeping track of time because you just came back from an highly refreshing swim, played some volleyball with some newly found friends and just witnessed one cool sunset. But the main reason is that you are already drunk!! The DJ starts around nine and soon the party mood catches on . Few people play beer pong or cards,some go in the water for a night swim to look for the illuminated planktons in the water and people like me just dance along to the music and lose track of time and space. I made friends with some really really nice humans on this day. I met Matt,Kristan,Adi,Liat and Jorden on the way to the bay and we pretty much stuck together the whole time and had discussions on a variety of topics ranging from feminism to politics.We spent most of the evenings dancing and playing beer pong and cards together. People usually in their reviews say that this cruise is only about the booze and acting like a teenager but along with that It can turn into a very cool experience if you have the right mix of people on board. The second day was totally about the the booze cruise.We had a short guided kayaking tour on the bay which was pretty awesome. People jumped off the boat and swam to a small cosy beach which was fun. I could not jump off the boat as I did not know how to swim which was pretty sad. As the day progressed people got more drunk and fun. It was a crazy fun day spent on a boat dancing with crazy fun drunk people. It was fun to know the people and joke around with them all day long . The boat heads back to the island in the evening. There are more people on the island on the second day and the evenings are spend again playing games or kayaking around the islands. I ended up drinking up more than I usually do . But the fun part was the dancing that went on till three four in the morning. 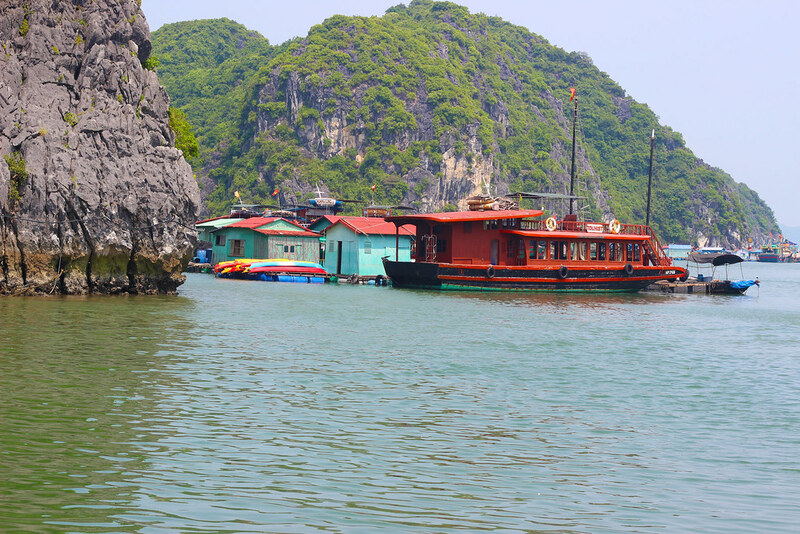 Overall it is a good experience if you are looking for a fun way to explore the Halong bay. Ta Ta -Wonderful isolated and thankfully not peaceful Castaway island ! You were fun and I thoroughly enjoyed you.